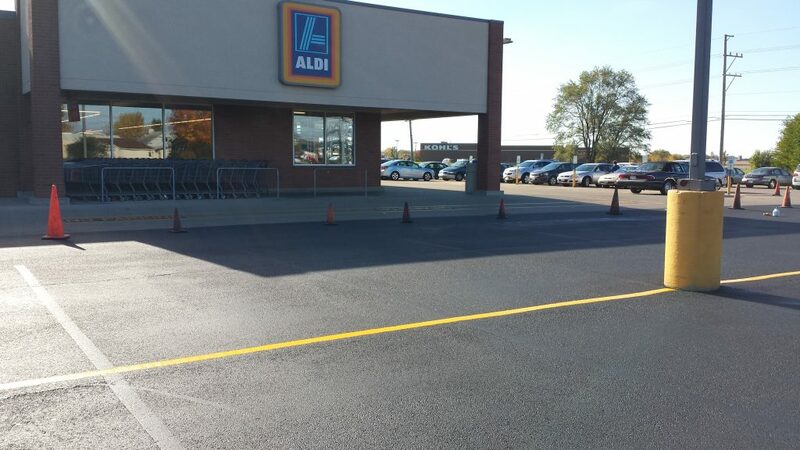 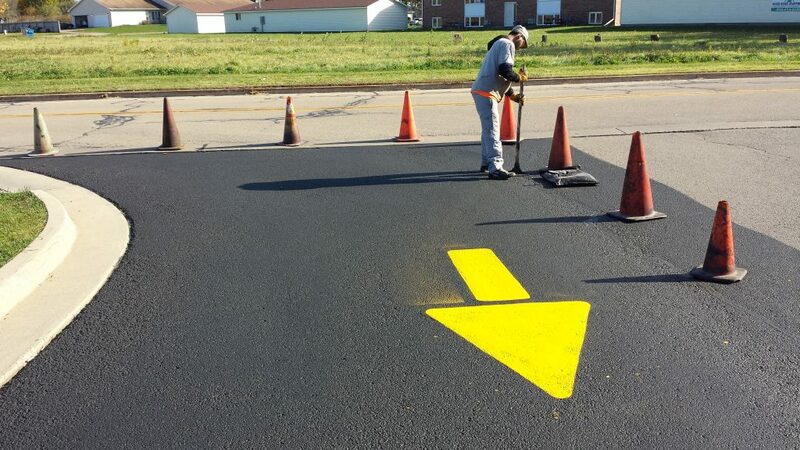 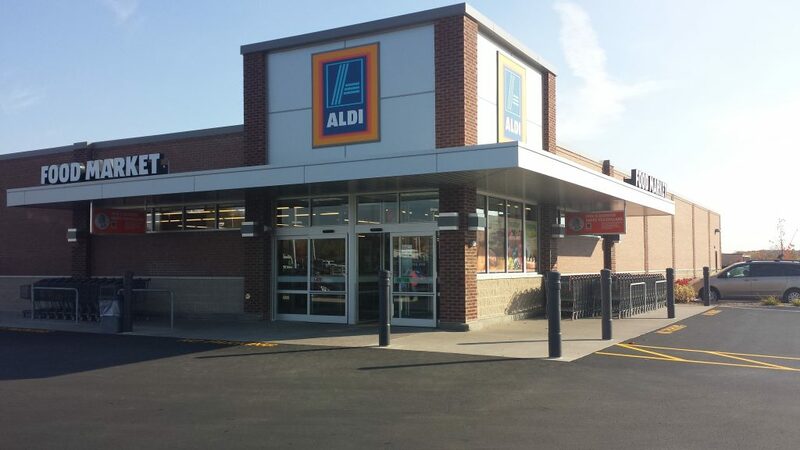 TK Sealcoating has performed parking lot sealcoating, patching, striping and concrete repairs for the Aldi Company based in Batavia Illinois. 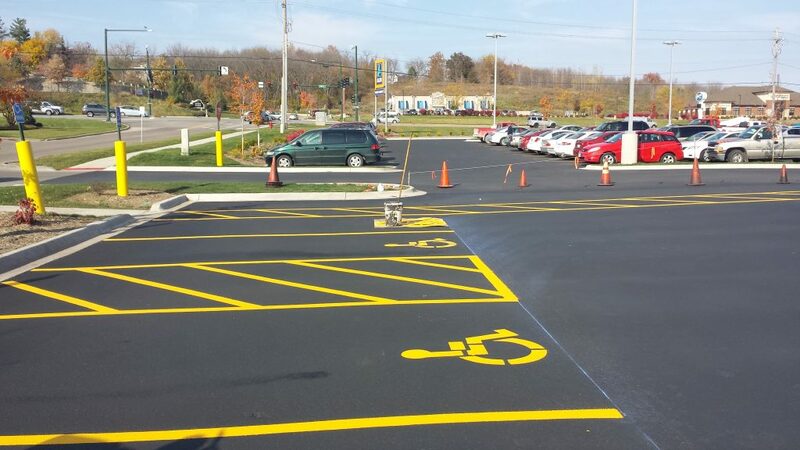 We have traveled to multiple states to perform parking lot pavement repairs. 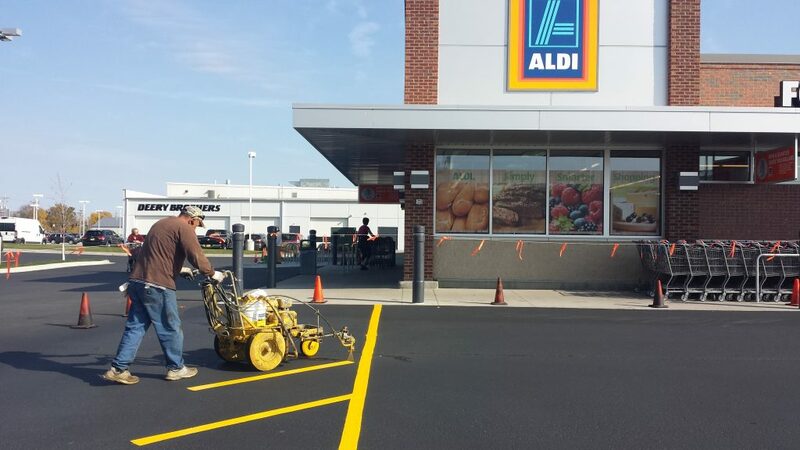 We have completed our parking lot sealcoating work for the Aldi Company in a way that demonstrates our ability to manage and complete multiple projects and locations in a short period of time. 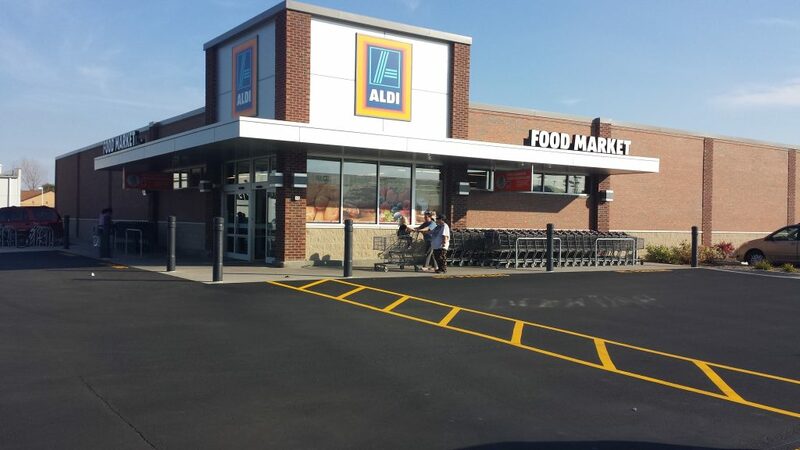 We perform our work with an understanding that the customers and store visitors are the most important part of our project. 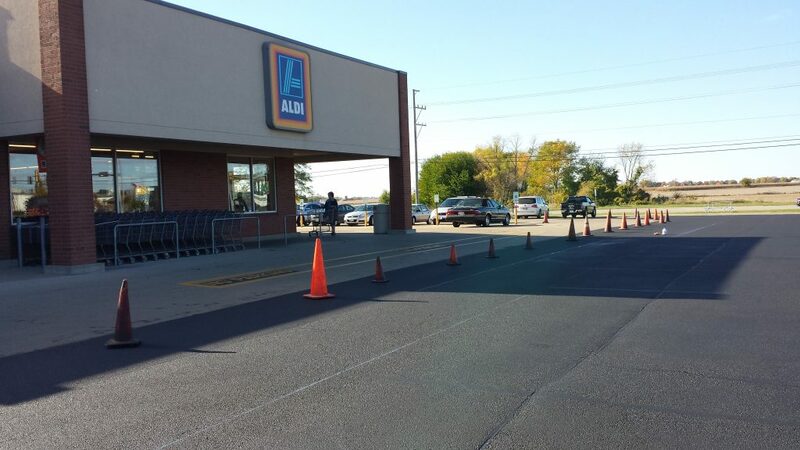 Not many companies can communicate with district managers and store managers as effectively as we have while performing this work. 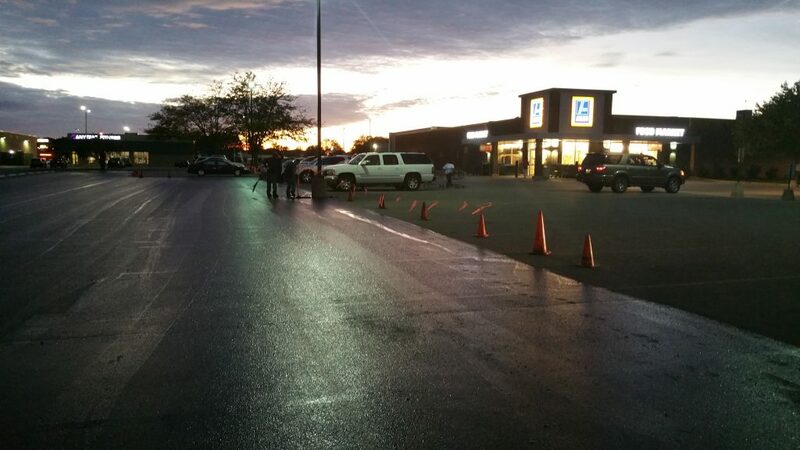 Truth #1 -The Customer is First!